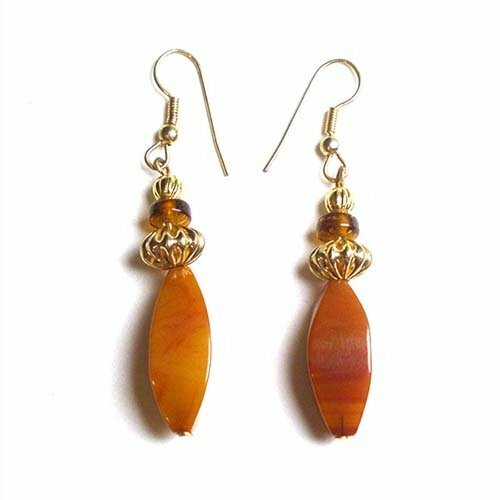 Celebrate your day with the color of the setting sun with these dangling earrings. Each setting holds large colorful glass beads that will dazzle you from ear to ear! Hypoallergenic posts. Clasps are available upon request.